Former THE VERVE frontman Richard Ashcroft unleashes his debut solo album 'Alone With Everybody' through Hut records in the UK on Monday June 26. Music365 has listened to the album - produced by master Ashcroft and Chris Potter- and being the lovely, caring, sharing souls that we are, we bring you a track by track preview of one of the most talked about albums of this year. First hit single to be lifted from the album. Pretty guitars, delicate strings, muted, melancholy trumpet and Mr Ashcroft's sweet, sad vocals. A lavish, anthemic, over-produced opener. It's folky, it's got flute in it and its gentle plod shoulders such lacklustre lyrics as "I get my beat with you, when we see things through." 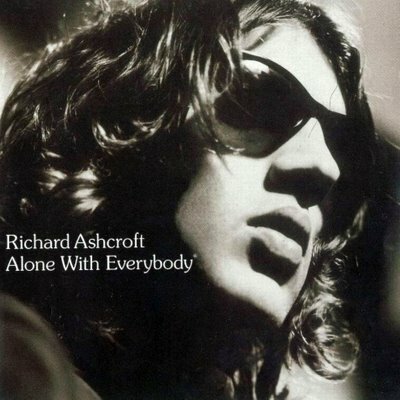 Ashcroft's voice is snugly wrapped in the warm, joyous, uplifting tones of the London Community Gospel Choir. Distinctly average. Lovelorn balladry fleshed by acoustic guitar, weeping pedal steel courtesy of BJ Cole and those trademark surging strings. Young Dicky's reflective vocals seem resigned to fate as he sings "I hope to see you on the other side". A touching song and one of the album's finer moments. Ashcroft's 'gushing' paean to the Big Apple. A tad reminiscent of The Verve's 'The Rolling People', perhaps with some The The style scuzzy, sweaty rock thrown in. 'New York' is a robust affair with some sinister, edgy guitar and lyrics filled with wide-eyed wonderment such as "There's no time to unpack yeah. Let's get straight out on the street. And feel no inhibitions. This city was built for me." With its acoustic guitar opening and Hammond swells, this love song immediately brings to mind some of The Faces' more tender moments. Those strings soon kick in, as does some Stones-like rock guitar and the obligatory pedal-steel. Essentially though, this is a simple romantic song, all yearning and heart-on-sleeve vulnerability. Gorgeous stuff, ladies and gents. "It's a crazy world, for a mixed up boy and a mixed up girl" sings the man. How very true. He's certainly lived. This is an upbeat, uplifting country rocker, oozing optimism from every pore. "You've got that spirit, so please stick with it. This world wouldn't be a world without you in it." The musical equivalent of the age-old saying "cheer up it might never happen." Only this is believable. Sleepy, psychedelic reworking of 'Lucky Man' which finds our man shipwrecked on a desert island with a conch and a bamboo boat. Only he isn't you see because that's a metaphor for a personal/spiritual crisis or something like that. Anyway he's out on a beach, sat on a rock, thinking about life the universe and everything to dreamily hypnotic guitar, beats and brass. Very pleasant indeed. Second single and quite possibly the album's weakest link. Shambolic, upbeat country-rock style stuff with gospel harmonies and blues harmonica. And at over six minutes it clocks in at three minutes too long. An unimaginative, uninspiring tune. Aching balladry with yep, more pedal-steel and more strings. This is a beautiful, tear-stained song with Ashcroft in fine vocal fettle, sounding uncannily like Ian McCulloch. In fact you wouldn't be able to tell the two apart in a line-up. A wonderfullly emotional, all encompassing tunelet. 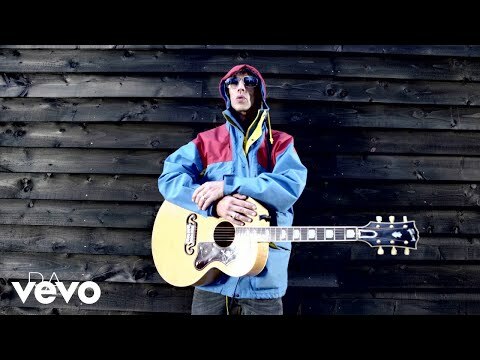 Upbeat, surpisingly poppy little number with Ashcroft's vocal tune echoing that of The Four Tops' 'Reach Out I'll Be There'. Unashamedly optimistic, summery and capable of spreading a ruddy large grin across your face. Sluggish closing track, laced with piano, pedal-steel and Ashcroft's assured croon. Sounds like he's been listening to some Beautiful South albums. Only his song is missing the lyrical bite.